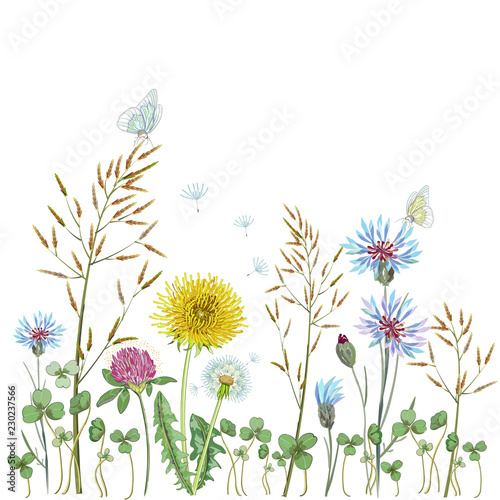 > Fototapeta>Tematy>Kwiaty>Summer wildflowers background. Grass, dandelion, clover, cornflowers. Print on paper or textile.